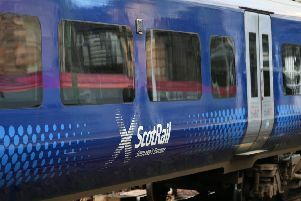 Plans for Edinburgh to London journeys in 45 minutes have taken a step closer to reality. Initially in the testing stage, Virgin’s Hyperloop One set a new speed record of 240mph (387 km/h) at its DevLoop test track in Nevada this week. A Virgin Hyperloop One functions by a pod travelling above the track using magnetic levitation and gliding at airline speeds due to ultra-low aerodynamic drag. It’s short of the project’s overall target speed of 670mph (1,000 km/h). But this successful test means the aim of introducing this new transport system by 2021 could well be achievable. In comparison, China’s new Fuxing trains, which are the fastest in the world, can currently travel at speeds of 217mph (350 km/hour). Edinburgh to London (a distance of 414 miles) is just one of 10 routes proposed by Virgin. Another Scottish route, from Glasgow to Liverpool has also been floated as a potential route. In July, Edinburgh University team HypED reached the semi-final of a Hyperloop One competition to find the most feasible site for the first passenger-carrying system and expects to hear the results by the end of this month. The concept of the Hyperloop was first proposed by Tesla boss Elon Musk in August 2013, who released the plans for free. Josh Giegel, co-founder and CTO at of Virgin Hyperloop One, said: ‘The recent phase three testing continues to prove the incredible persistence and determination of our DevLoop team - the close to 200 engineers, machinists, welders, and fabricators who collaborated to make Hyperloop a reality today.